i always keep this soup in my refrigerator. it is perfect after my workout and is the easiest soup in the world to make. i make a large batch of it at the beginning of the week, and eat off of it for lunch or with my dinners. it finally dawned on me to put this recipe up! 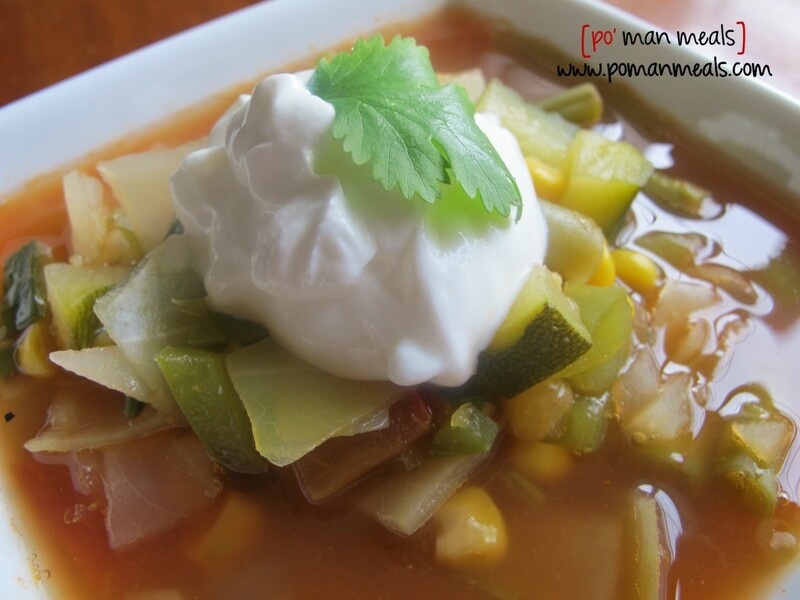 veggie soup is very versatile and allows you to clean out your fridge. in the summer, i use fresh corn or whatever comes out of my garden. other times, i use canned vegetables if i do not have them fresh. either way, you will love this soup. 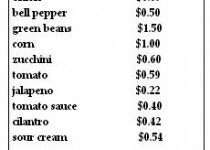 the extra spice from the jalapeno is a nice compliment, but the sour cream cools it down all the same. this makes a LOT of soup and is perfect to freeze. bring the water and chicken bouillons (or chicken/veggie stock) to a boil in a large stock pot. reduce the heat to medium and carefully add the cabbage and let it cook for about 10 minutes. gently add the remaining vegetables and tomato sauce. taste, and season with salt/pepper to taste. reduce the heat to a simmer, cover and let the soup cook until the flavors marry, about 20 minutes. stir in the cilantro (or your favorite herb) and serve with a dollop of sour cream. i have never tried this in the crock-pot, but i am sure it would turnout well. toss in your favorite vegetables to this soup... carrot, spinach, even aspargus. want something more substantial? add chicken, beans, or pasta.